We have the experience needed to complete your project such as working with busy parking lots of shopping centers, to neighborhood streets. 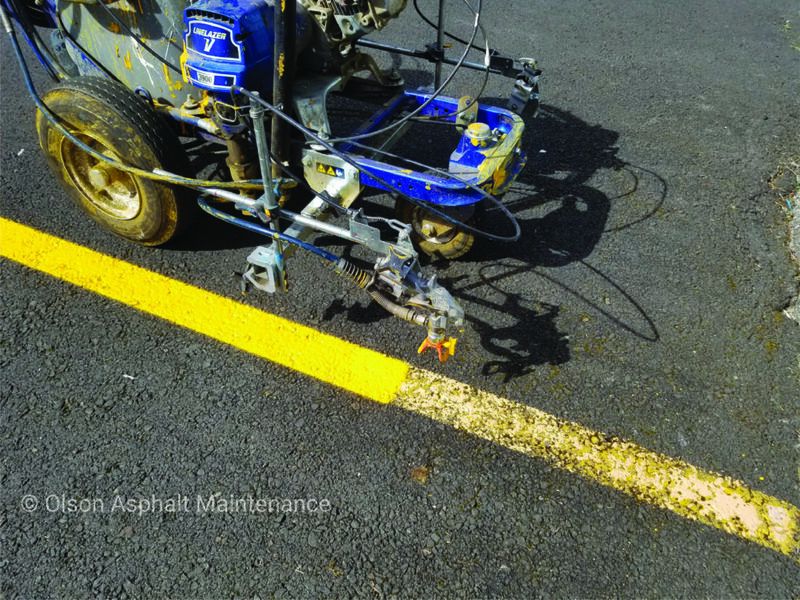 Olson Asphalt Maintenance Company provides Free Estimates, and are happy to work with you on the logistics of your job. We carry bonds and liability insurances sufficient to cover a job of any size, and are licensed to perform work for the government, residential and commercial clients. 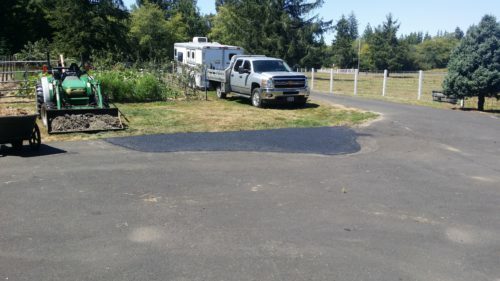 We have over 15 years of experience in protecting asphalt. From busy parking lots to private driveways, we are your local professionals whom you can trust. Located in Seaside, this family owned business serves the communities of Oregon and Washington coast line. 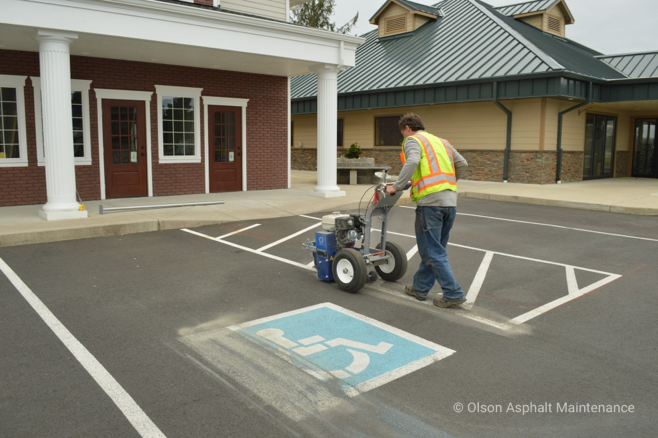 Fully licensed, bonded and insured to work on commercial and residential projects in Oregon and Washington. Call us anytime to get a free estimate for any of the services that we provide. Sealcoat is a protective coat that prolongs the life of the asphalt and protects your investment in your property. This preventative maintenance can save you thousands of dollars in future repairs. New parking lot layout and striping the existing lines to make them visible again. Crosswalks, unloading zones, ADA compliance, and directional arrows or city roads and curbs. Hot thick tar fills in cracks in the asphalt, and seals them to prevent further expansion and erosion of the asphalt. 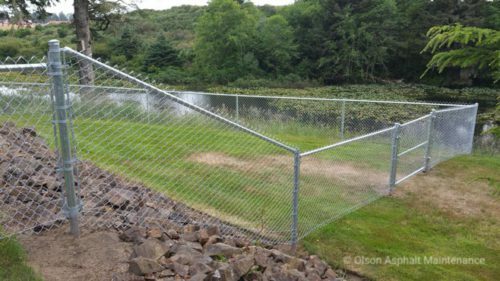 Installation, repair, and replacement of chain link and wood fences and gates. Grindlazer paint removal, tire bumper installation, ADA signage, thermoplastic.